In July 2013 the Government introduced fees for employment tribunals, which meant that someone bringing a claim had to pay as much as £1,200.00. This resulted in an overall reduction in employment tribunal claims of 70%. As a result, Unison brought a case arguing that the fees were unlawful as they restricted access to justice. 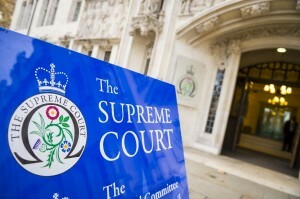 In a surprise decision the Supreme Court agreed with Unison and quashed the order that brought the fees into force. The Courts and Tribunal Service will now need to refund all of the fees that have been paid since 2013. But some questions remain unanswered, such as what to do about fees from now on. The Courts and Tribunal Service may decide that it will not reintroduce fees. On the other hand it could bring in a new fee regime at a lower level and it may even split the fees between the employer and employee. There is also the question of what happens to all those people who chose not to bring a claim because of the fees. The employment tribunals may decide to let them bring their claim now, so watch this space. Time will tell as to what impact this decision will have on the number of employment tribunal claims, but we could see a big increase over the next few months.